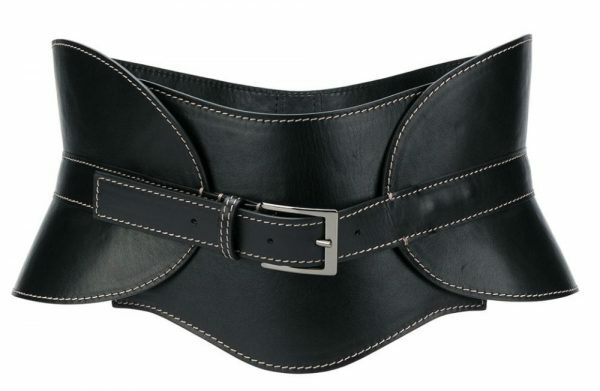 You are currently browsing the archives for the tag 'corset belt'. 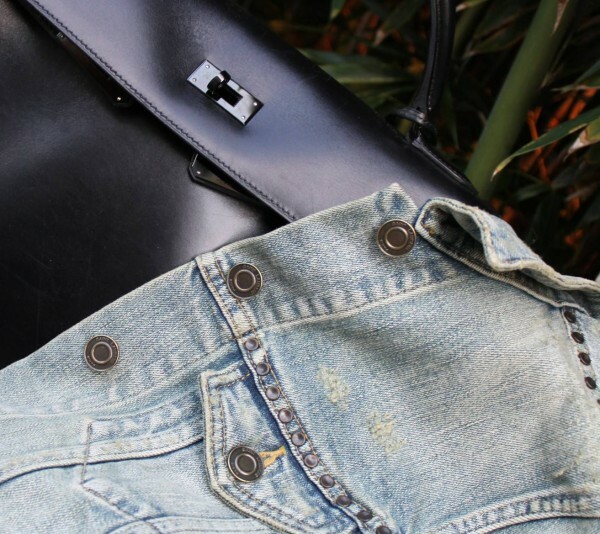 From the It-bag to the It-belt…! 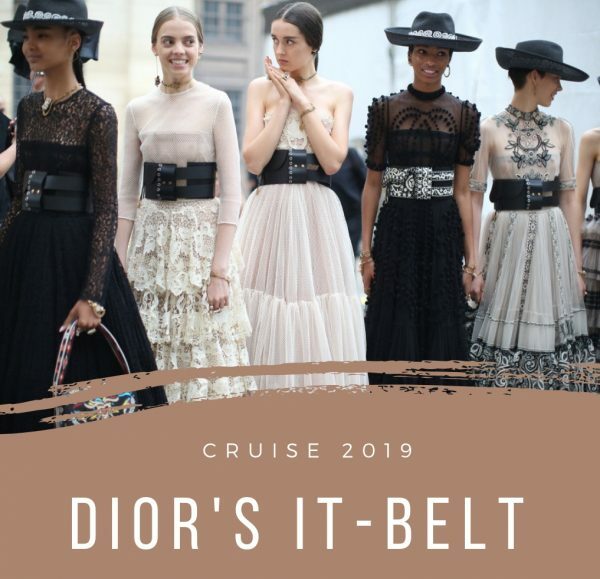 Drawing inspiration from the ezcaramuzas of Mexico (female equestrians in the traditional Mexican rodeo known as charrería), Maria Grazia Chiuri has designed a number of feminine outfits for the DIOR Cruise 2019 collection with eye-catching details: Corsets and wide leather belts in plain black or totally embroidered in Mexican flowers emphasized the models’ waists. 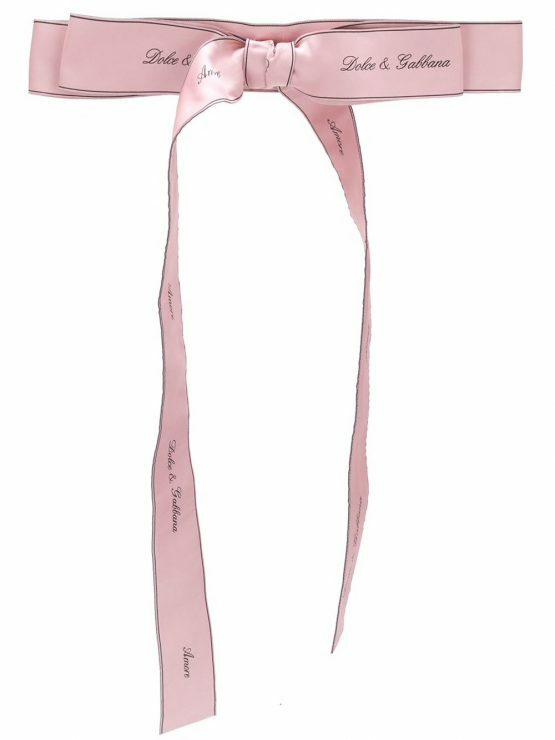 In reference to the equestrian world and the House’s heritage, each style of belt is in the form of the ‘Saddle’ bag with its emblematic curved flap and tab decorated with a golden “D”. 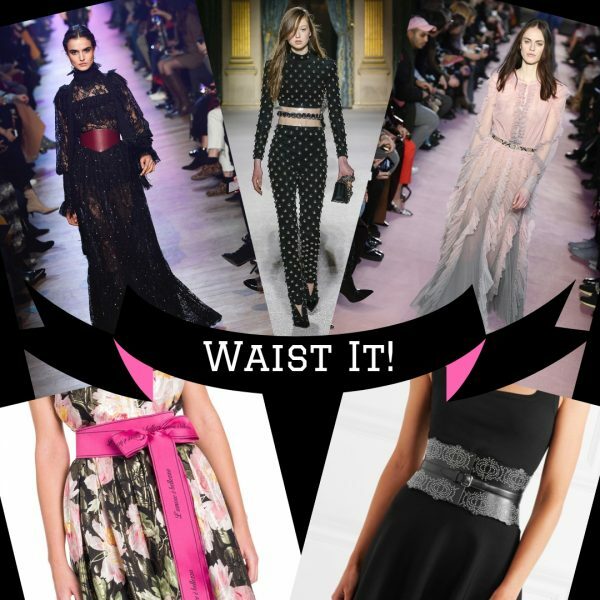 When it comes to your waist, the golden rule is to keep it cinched. 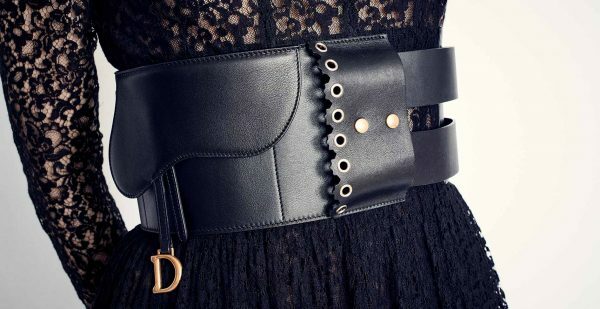 Belts have been making their presence felt on F/W 2018 runways — from Versace, to Elie Saab and Gucci. 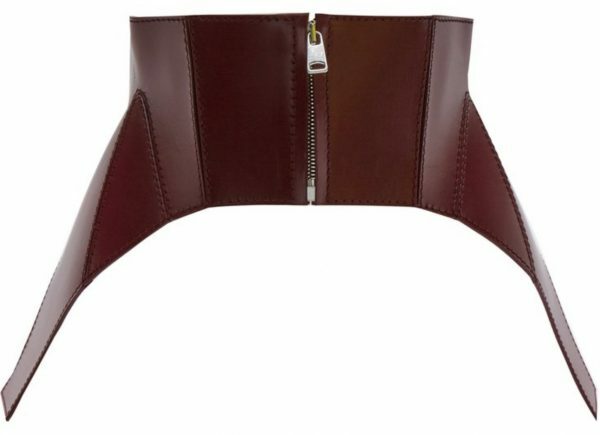 This little add-on packs a big punch when it comes to elevating your style while also slimming your silhouette into a flattering hourglass. 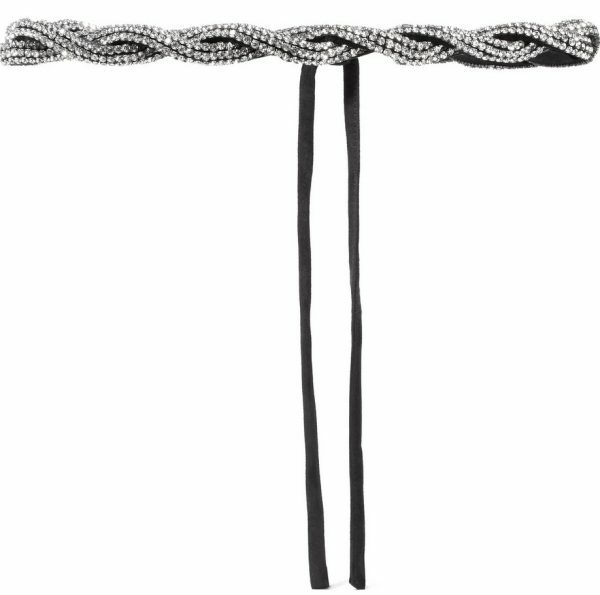 When it comes to evening wear, the easiest way to change the look of a gown you sported before is to wear a belt. 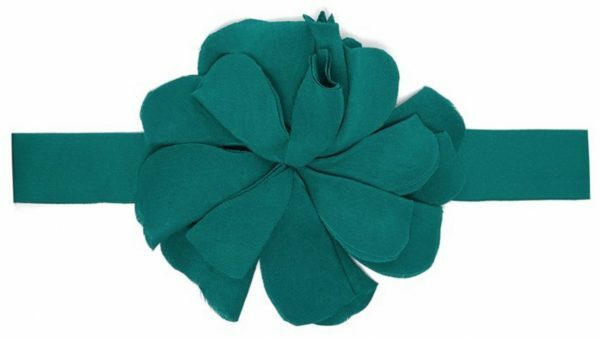 It is also the best alternative to altering. 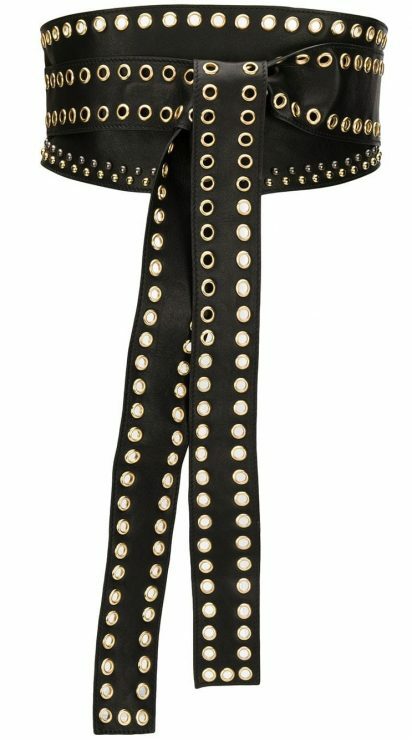 Suffice it to say, the styling possibilities are infinite, as is the internet’s statement belt selection. Here, I’ve narrowed it down for you. My personal favorites are the ones by Dolce & Gabbana and Alaïa. They work for nearly everything. 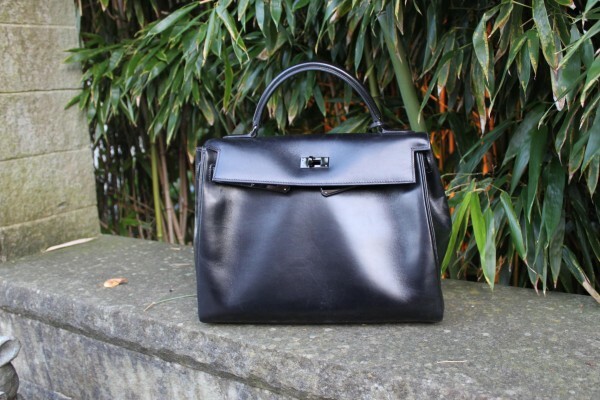 For a true fashion lover, Azzedine Alaïa is a must in a closet. An Alaïa dress is a seasonless wardrobe wonder piece that never lets you down. I bought my first item by the Tunisian-born designer probably 20 years ago and it still looks up to date. His designs play with discreet luxury, they are comfortable and ultra feminine. For the Bally x L’Officiel event I wore this look and played with the color combination of dark blue and black which I adore, it is so chic. My look: Blue heart motif stretch-knit dress, black cropped fine-knit cardigan and corset belt, all by Azzedine Alaïa, Dirty ’50s stretch-denim jacket by Saint Laurent, dark blue suede strappy sandals by Miu Miu, Kelly So Black bag by Hermès, Limelight Gala watch and rose diamond necklace by Piaget, diamond ring and bracelet by Vainard Fine Jewellery.